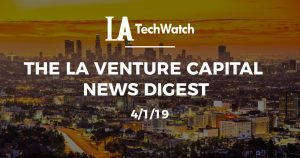 This bi-weekly column covers the latest news from venture capital firms in LA for the second half of March 2019 featuring OpenNest Ventures, 3L Capital, and much more. 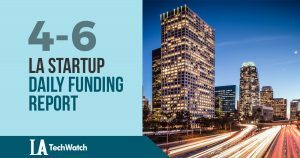 A ton of new funds being raised in LA right now! 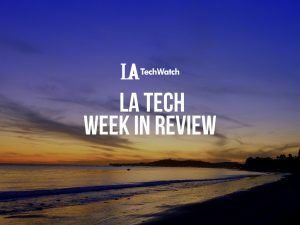 Filed Under: LA Tech Week in Review, LATechTalk Tagged With: 14W, 21st Century Fox, Alibaba, AMC, Ampsy, Aspiration, Atom Factory, Bold Capital Partners, CRCM Ventures, Dreamscape Immersive, Firebrand Ventures Sinai Ventures, Gary Vaynerchuk, Girlboss, Glo Station, Heartbeat, Imagination Ventures, IMAX Corporation, Lightspeed Venture Partners, Majid Al Futtaim Holdings, MGM, MindWorks Ventures, Navitas Capital, Nickelodeon, Presence Capital, Reformation, Slow Ventures, Social Impact Finance, Steven Spielberg, Stripes Group, Warner Bros.